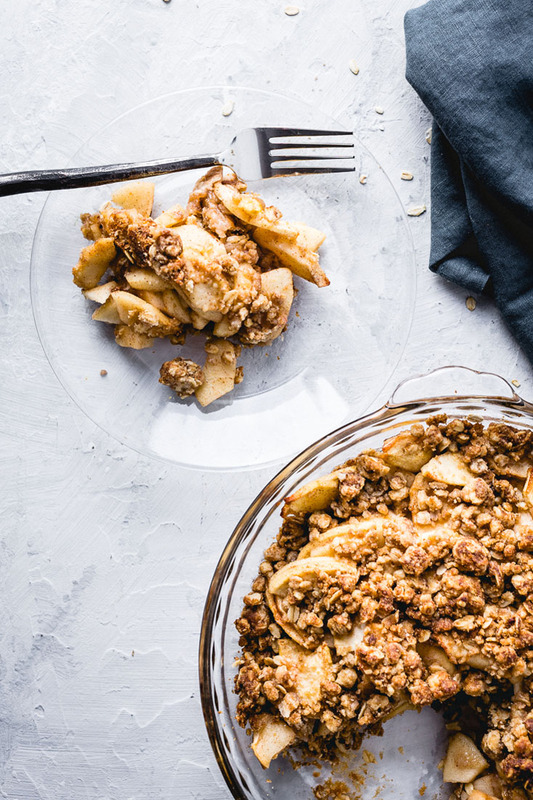 This easy apple crisp is a go-to delicious dessert for Fall, or really any time of year. It is ready in less than an hour and your house will be smelling amazing for the entire day. 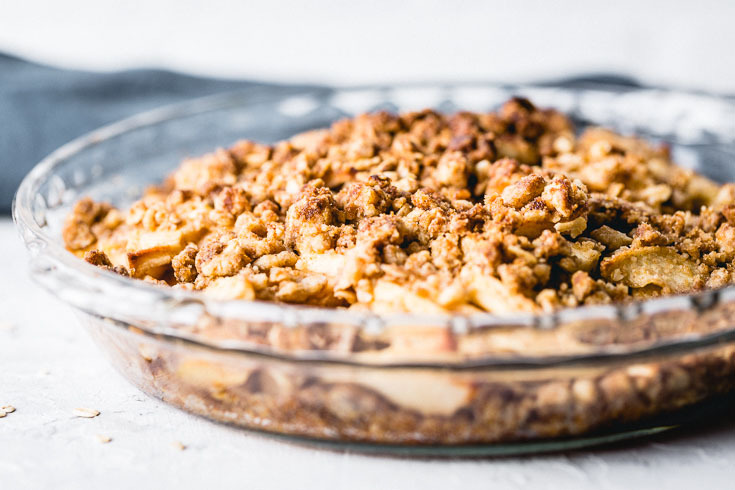 When it comes to Fall desserts with fresh apples, there’s nothing quite like an apple crisp. 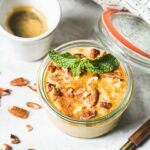 Not only are they one of the easiest desserts to make, but they are definitely one of the tastiest. Can I give you a preview of why I’m making this apple crisp? While I make these all the time, this one is actually going to be used to make ice cream. 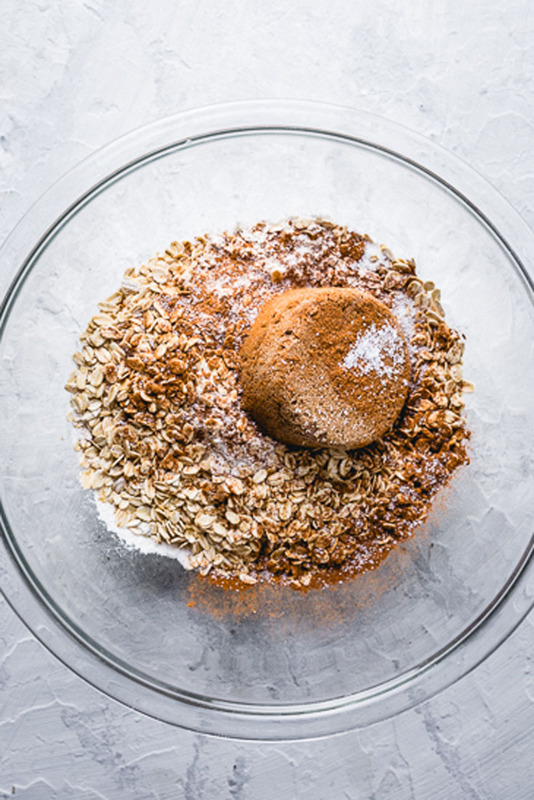 Stay tuned for apple crisp ice cream recipe that is out of this world delicious. With so many different varieties of apples that it can be difficult to know which are best? A combination of different apples like Empire, Honey Crisp and Granny Smith can be great, but my preference is to use only Granny Smith. They have a wonderful contrast between the crisp, apples and ice cream. 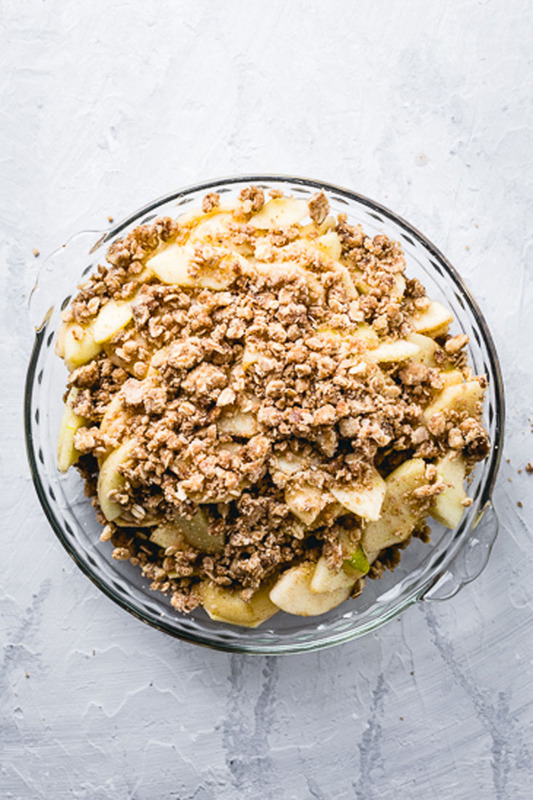 If you can mix up a few ingredients in a bowl and place them in the oven, you can easily make an apple crisp. The most tedious part is peeling the apples. The rest just takes a few minutes. 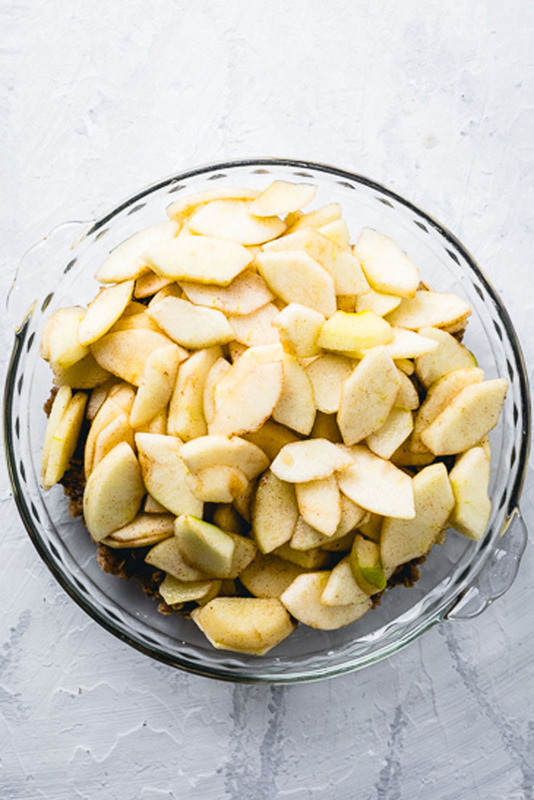 To make the filling: combine the apples, sugar, cinnamon, vanilla extract, lemon juice, vanilla extract and salt in a large bowl. Mix them up and it’s ready to go. There are lots of options when it comes to the crisp topping. 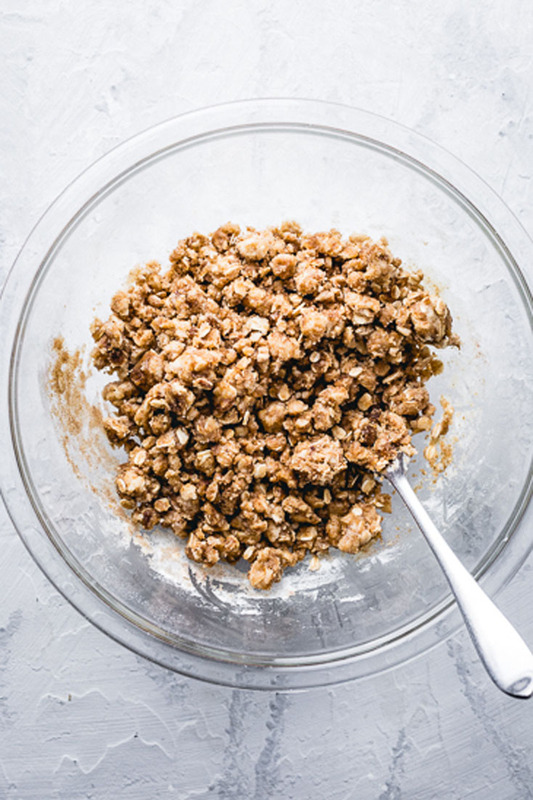 Flour, rolled oats, brown sugar, cinnamon, salt and melted butter are all that you need. 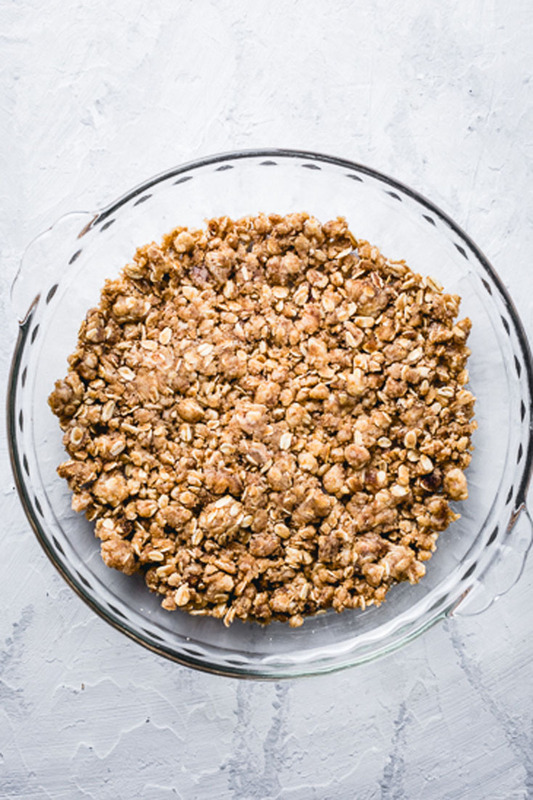 To make the crisp topping: combine the flour, oats, brown sugar, cinnamon and salt with a fork until it’s fully mixed. Drizzle the melted butter over the top, then continue to gently mix with the fork. You are going for large crumbs which will give that awesome crunch. Butter a pie dish and cover the bottom with the crumble, leaving plenty for the top. Add the apple filling and bake at 350 degrees for about 40 to 50 minutes, until the top is golden and the apples are soft. Technically, a “crisp” is suppose to contain oats and nuts. This version is oats only. 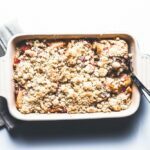 A crumble doesn’t contain nuts or oats. 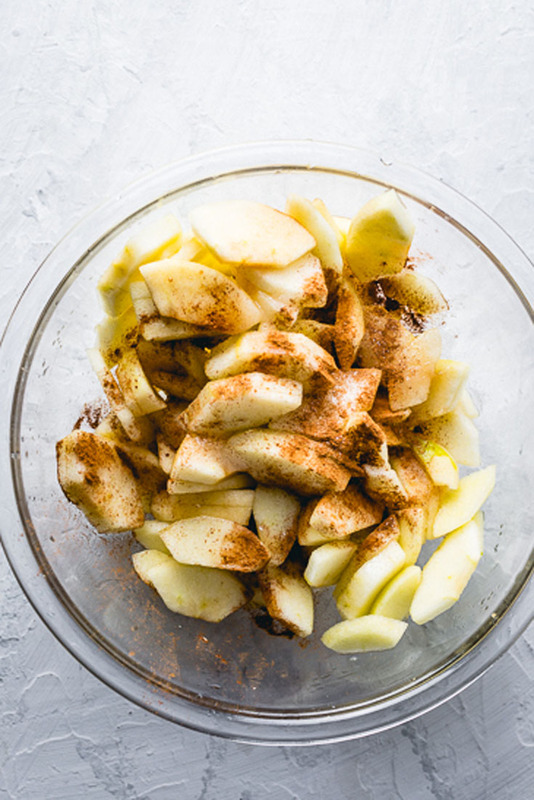 Combine the sliced apples, sugar, cinnamon, vanilla, lemon juice and salt in a large bowl. 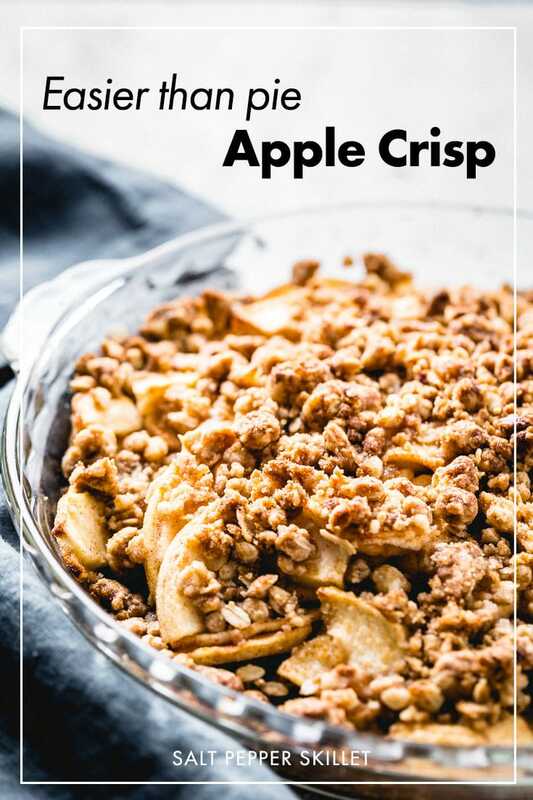 Make the crisp topping by combining the flour, oats, brown sugar, cinnamon and a pinch of salt and in a medium bowl, mixing with a with a fork to combine. Pour in the melted butter and continue to stir with a fork, being sure not to over mix so you maintain large clumps of crumble. 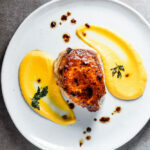 Grease a pie dish with the butter wrapper or cooking spray. 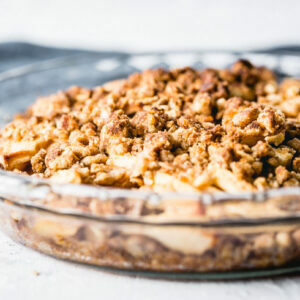 Place a layer of crumble on the bottom and sides of the pie dish, saving plenty for the top (the most important part). Add the filling to the pie dish, then sprinkle the remaining crumble on top. 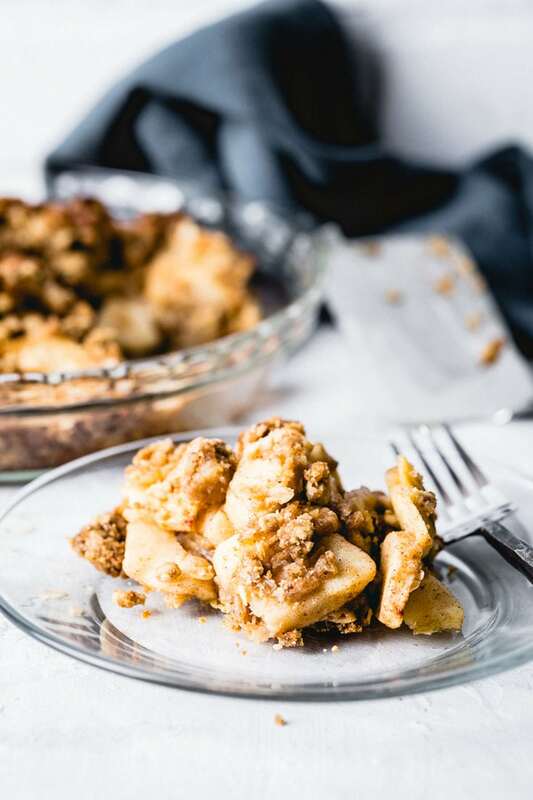 Bake in a preheated 350-degree oven for 40 to 50 minutes, or until the crumble turns golden and the apples are cooked. Let cool and serve with vanilla ice cream or make some apple crisp ice cream >>>.